Indie strategy game Atom Zombie Smasher developed by Blendo Games is now available in Ubuntu Software Center. The game had received critical acclaim and was a part of recently concluded Humble Indie Bundle 3. The game was also selected into PAX 10 Indie games list. 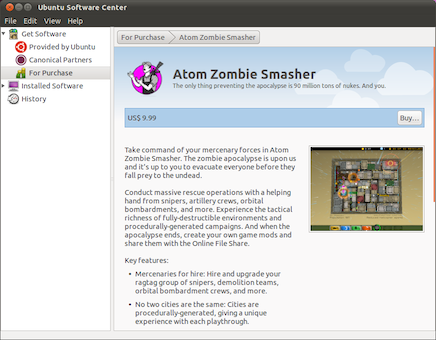 In Atom Zombie Smasher, you get control over helicopters, mercenaries, snipers, bombers etc. and your aim is to restore peace to cities by annihilating growing zombie infestation. The game is played from a top down perspective. You can read more from our past article in which we covered the game few months back.